In addition to the laboratory services and the educational programs, GWLAB offers also consultancy services to its clients, regarding gems, gemology and gem-trade. Each consultancy service is carried out by highly-skilled and well-experienced senior gemologists only and is supervised by Menahem Sevdermish (FGA D.Litt. ), GWLAB's CEO. The consultation service is provided either as a written expert opinion on official GWLAB letterhead and/or as an expert witness appearing before court. Among the clients, which the GWLAB team serves, one may find mine owners, gem cutters, banks, police investigators, the court system, executors, receivers, insurance appraisers and the public. From Rough to Faceted consulting - This is one of the more special consulting services that is provided to our clients by our resident experts. 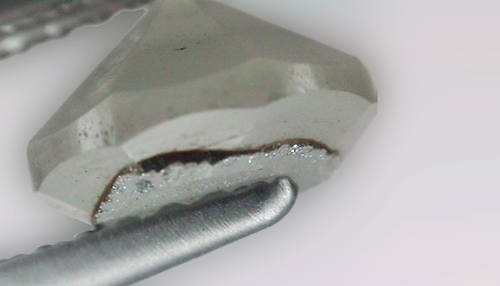 This service offers the client accompanied support throughout the client's gem processing cycle, starting with the rough to a fully faceted gem, to achieve maximal color and/or clarity results for the facted gem. The entire process is documented from the time the gem is brought in its rough form and analyzed in the lab, through its cutting and polishing stages, until the final result. Cutting and polishing recommendations are provided to the client after every step with the intent to achieve the best possible results.